What is included with access to Expert TA’s Enhanced Biology Platform? Additional Advanced Questions: In each chapter, 15 to 20 automatically assessed engaging question types such as Drag-and-Drop Labeling, Sorting, Ranking, Calculations , etc. Test Bank: OpenStax’s collection of additional questions that are not available publicly. Problem specific links: While working any given problem students can click a link that will take them to the specific section in the book related to that topic. Cost: Free for instructors and just $35 per semester per student. Studies show that students retain more information when concepts are brought to life with educational exercises that are more interactive. For example, when students actively build the structure of DNA (shown left), they remember the experience more readily than if they simply selected a multiple choice answer. Immediate Feedback helps students who are making mistakes get back on track. In the animation to the left, notice the provided feedback when an incorrect answer is submitted. Traditional question types, such as Multiple Choice and True/False, still have an important role in assessment, but are more effective when combined with more interactive materials. Drag-and-Drop labeling, shown above, is one example of interactive questions that get students more involved in the learning process. Algorithmic Calculations Including randomized numbers, students are asked to calculate things such as PH level, age via carbon-dating, chemical energy change in reactions, probabilities for Mendel models, values for gas pressure and respiration, mortality rates, population growth rates, and more. Ranking: Students actively order elements related to their size, sequence, etc. Sorting/Categorizing: Students group items based on specified criteria. Identify Feature: Students point-and-click on on an area or areas of a given image to identify a specific element or feature. Matching/Pairing: Items are moved to be paired with their corresponding relational “mate”. Biology 2e is designed to cover the scope and sequence requirements of a typical two-semester biology course for science majors. The text provides comprehensive coverage of foundational research and core biology concepts through an evolutionary lens. Biology includes rich features that engage students in scientific inquiry, highlight careers in the biological sciences, and offer everyday applications. Interspersed throughout each chapter are various types of practice and homework questions that help students understand—and apply—key concepts. 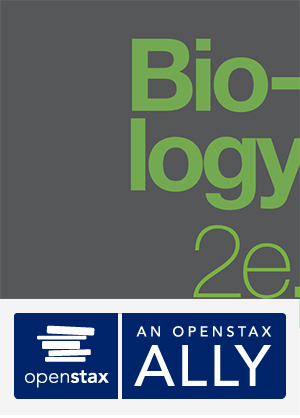 Both Dr. Jung Choi and Dr. Mary Anne Clark are senior authors of the OpenStax Biology 2e. textook. As primary authors they helped to revise the second edition to incorporate clearer, more current, and more dynamic explanations, while maintaining the same organization as the first edition. The authors have partnered with Expert TA in order to help create a collection of enhanced digital materials and assessments to accompany the book. Dr. Jung Choi is an Associate Professor at Georgia Tech and is also the director of the Bioinformatics Master’s Degree program. As a supporter of Open Education, he was excited to take on the role of senior author for the both the first and second editions of the Introductory Biology textbook published by OpenStax. Dr. Choi maintains an educational blog related to biology, where he discusses his approach to the flipped classroom, advocates for the use of instructional technology, and offers insights from both his teaching experience as well as his educational research. 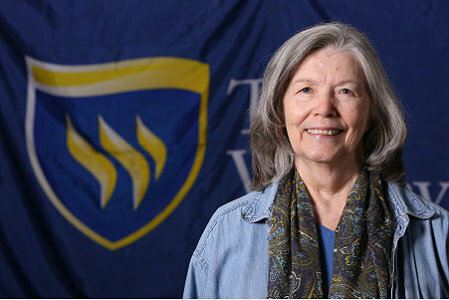 Dr. Mary Anne Clark earned her Ph.D from Bryn Mawr College and is a Professor of Biology at Texas Wesleyan University. She is a senior author of the OpenStax 2nd ed. Biology textbook. Throughout Dr. Clark’s career, she has continually worked to rethink her instructional approaches to encourage more effective student learning in biology. Dr. Clark has an interest in designing educational materials in a way that is accessible to the general public. In 2009, she developed “Genome Island”, a virtual science environment in Second Life dedicated to the study of genetics. You and your students should be thinking about biology, not about course set-up and technological configurations. Expert TA knows this and has gone to great lengths to make the entire experience as smooth as possible. Simple Registration: You share a registration link, students go through an easy three-step process, and they are enrolled and taking assignments. LMS Integration: Instructors can synchronize grades with their LMS gradebook. For students, single sign-on provides access to all the course materials from one location. A Commitment to Customer Service: The company was created on the idea of building great educational solutions, but to the Account Managers at Expert TA we think of ourselves first as a customer service company.